We all have this dream of visiting a casino wearing our finest dresses or suits and sitting at a card table and taking home the biggest pot that’s ever been played. Sadly, the majority of us neither have the time or budget to fulfil this fantasy, which is why online casinos have become so popular. These websites let us play our favourite games from the comfort of our own home and what better way to spend some time relaxing than by playing a couple of games of Baccarat. Although it’s considered to be something that’s played by a primarily older audience, there’s actually a lot of interesting variations of online Baccarat that you can try out. With that in mind we’ve covered some of the versions you need to try out! First things first, for those that are not familiar, Baccarat is a game that at first seems to have all the flair of being a professional and pretty difficult game, but it is in fact pretty easy to play. The gameplay of is it is relatively simple and quick to grasp. All you need to know is that you’re playing against the dealer in this game and you need to a get a hand that’s closer to nine than theirs is. An interesting rule of Baccarat is that only the last digit of the total in your cards counts. So, for example if you were to land a seven and a six in your hand, this would give you a 1thirteen. Now you may think that you’ve over shot nine, but actually you only have a three. Which is why it’s actually a lot harder to get to nine in this game than it appears. These tend to be the rules followed for most games but with some variations of online baccarat there can occasionally be different rules, it just depends on where you play. This is arguably the most common type of Baccarat you will come across on online casino sites. Originally created in the 1950s in South America, this version is sometimes referred to as Nevada Style or Punto Banco. It’s fairly straightforward to play as you just follow the instructions of the digital Croupier or the games caller. 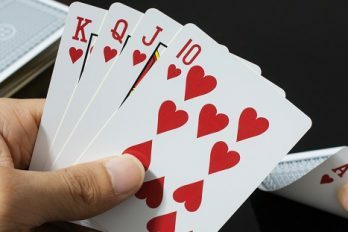 For example, if caller says “Cards” then the dealer knows to deal the cards and then the caller will pass the cards to the player with the highest bet. Also, normally in Baccarat players have to be aware of the rule to draw a third card, but with American Baccarat the games caller will usually announce “Card for the player” or “Cards for the Bank”. And when you’re already concentrating on the game having one less thing to worry about can be a huge benefit. American Baccarat really is perfect for anyone that might be new to the game, this is because all you really need to do is follow what you’re being told to do in each round and bet accordingly. Taking the stress of memorising lots of rules off your shoulders. If you want something a little more complicated, then the European variations of online Baccarat are worth considering. In this game one player must act as the dealer and bank by booking bets which is normally done by an assigned dealer or digital Croupier. The role of dealer is decided in a quick auction among players, which basically boils down to whoever makes the highest bet becomes the dealer. 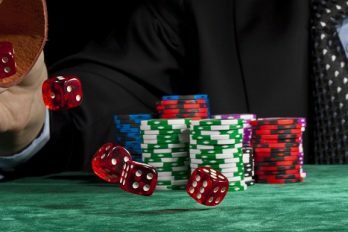 One thing worth noting is that you don’t have to play as the dealer, the rule is completely optional, and you can volunteer a casino representative to be the dealer for you. But having it circle around between each of the players adds a more personal and competitive touch as it feels like you’re playing against the people you’re in the game with. For those that want something that’s much more approachable and arguably the simplest version of Baccarat then this game is the one for you. Normally played on a Blackjack table because it’s a smaller game, this version of Baccarat is as simple as it gets. All players have to worry about in this game is just placing bets and occasionally cutting the cards. So, if you want something a bite more sedate and relaxed you can’t go wrong with Mini-Baccarat. Last in our list of online variations of Baccarat we have Baccarat en Banque. 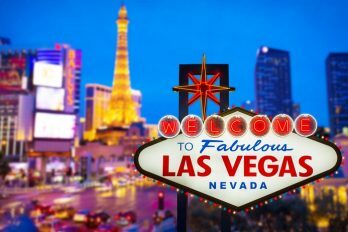 You will find this in most European online casino sites and an interesting fact about this game is that although the goal is to get as close to nine as possible like in other Baccarat games, since the casino operator is the banker bets can be much higher. Also, unlike other Baccarat games this version can be played with just one player, whereas others require a minimum of two people for a game to take place as each takes turn being the banker. If you’re looking for a more personal experience when you’re gambling or just want to play by yourself for a while then Baccarat en Banque is worth a consideration. If you’re tired of playing slot games or you want something other than Poker to scratch that card game itch then Baccarat is definitely worth a consideration. It’s been around since the 1950’s for a reason, it was and still continues to be incredibly popular with a number of people. It’s easy to play, simple to understand and there’s enough variety in the different variations of it to keep you interested if you want something familiar but with an extra challenge. So, if you’re perusing your favourite online casino looking for something new to play, why not be brave and take some time out of your day to get to grips with Baccarat. This fun and simple game is incredibly rewarding and if you put the work in it won’t be long until you’re a pro at it!